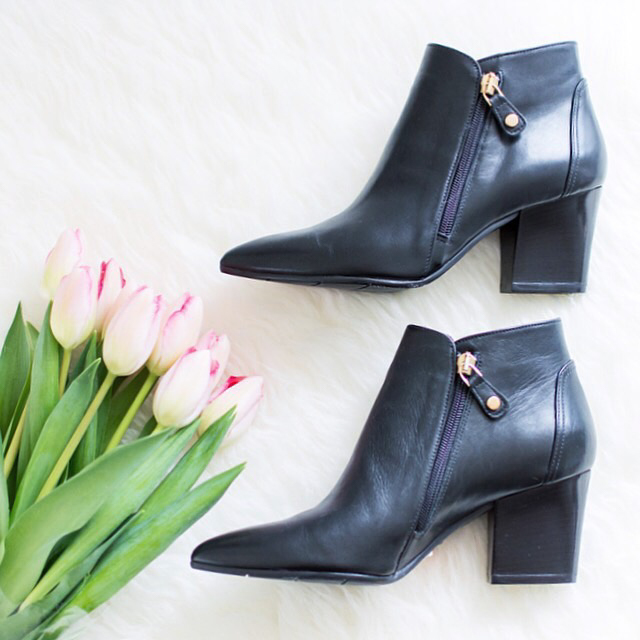 January Favourites | La Petite Noob | A Toronto-Based Fashion and Lifestyle Blog. At the risk of sounding incredibly cliché, I'm just going to say it - where has January gone? After the rush of the holidays, January is typically a slower month for me but this year has seen a different side and I've been running off my feet - in the best way possible, of course! I've had the pleasure of exploring new areas of Toronto and taking in new experiences, and I can't wait to share them with you. This quaint little tea room in the west end of Toronto has been calling to me from my Instagram feed for months, so I finally grabbed a girlfriend and went. 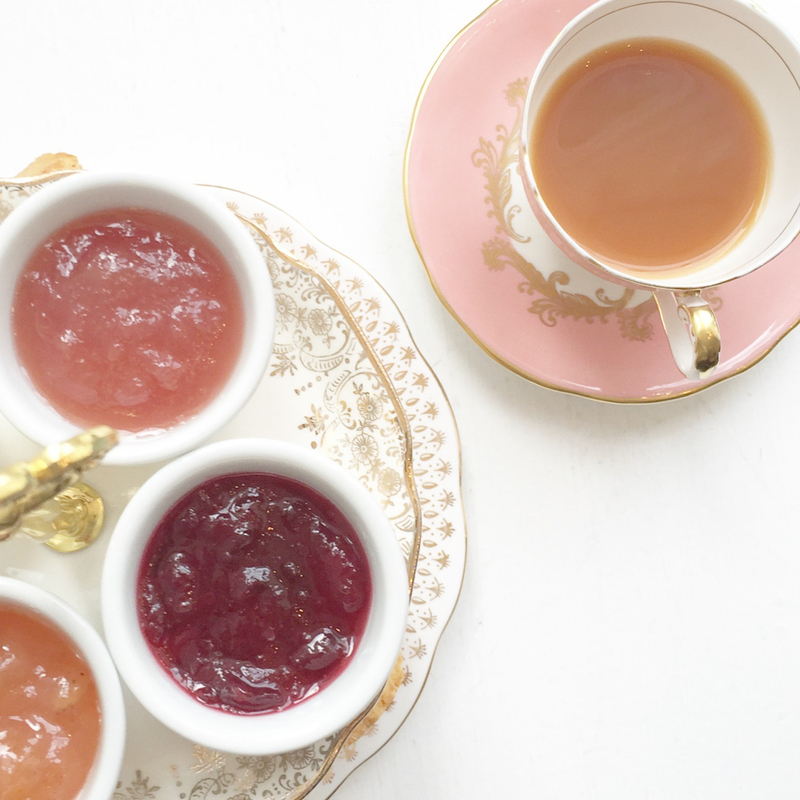 Fresh scones, a variety of artisanal jams and Sloan tea are what await you at Kitten and the Bear and I could barely snap one photo before diving in. I especially appreciate how everything is either made in-house or from a local company, and after sampling their Banana, Bourbon Vanilla Bean jam, I had to take a jar home for myself! Growing up Canadian means that Le Chateau has been a staple in my adolescent trips to the mall - in fact, I even remember searching for a prom dress there! I've recently re-connected with the brand on a much more dangerous level - shoes. You guys the shoe selection at Le Chateau is amazing and when I saw these hand-made, Italian leather booties I knew that they had to be mine. Since snapping up these booties, I've made yet another Le Chateau shoe purchase so it's safe to say that I'm hooked. 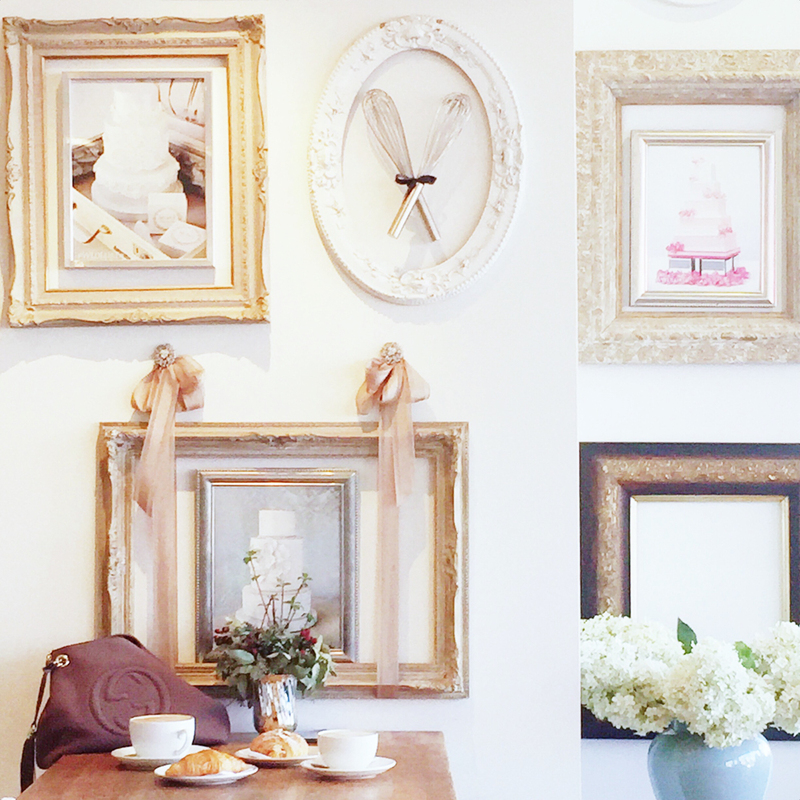 Bobbette and Belle is pretty much a Toronto staple when it comes to pastries and cakes, and I became familiar with the brand when searching for a wedding cake. January is the first time I actually visited the café in Toronto's Leslieville and I'm definitely going to add it to my arsenal of cute cafés - seriously, don't think just go! Again with the clichés, but January is definitely a 'new year, new you' type of month for me and this lady found herself in a gym - not once, but twice! My first experience with a fitness class was Pure Barre, which will be opening very soon on Queen West in Toronto. The class itself was incredibly fun, and the workout - wow. Let's just say that all of those small, controlled movements in the barre class really packed a punch and this girl could barely move for two days afterwards! The second class that I tried this month was a kick boxing class at Big Hit Studios in Liberty Village with Bench Canada. This class is high impact, high energy and borderline therapeutic as participants punch and kick the shiz out of a dummy. I had such a great time taking out my daily frustrations on my poor dummy that I barely noticed that I was working out - no small feat for a girl who spends most of her nights on the couch with some Real Housewives and gin. If you want a fun workout, or just feel like punching someone in the face then I definitely recommend this studio. 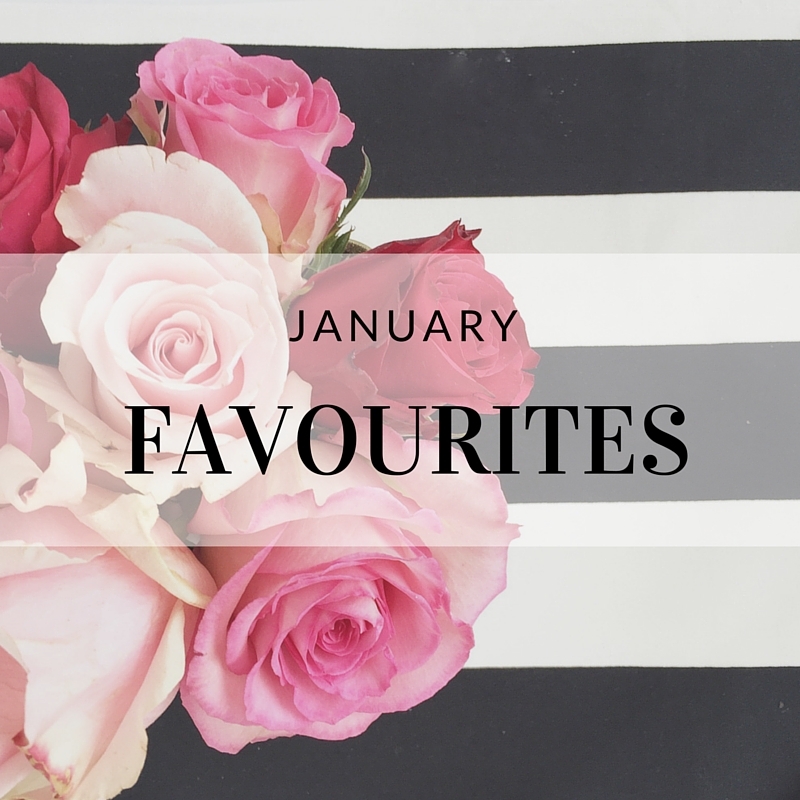 Those are my January favourites, and I'm just as surprised as you are that fitness was actually a part of the favourites - let's just hope that carries through into February! Have you been enjoying anything in particular this past month? Let me know! This is amazing post babe! Thanks for sharing! Hope you have a wonderful week! I am obsessed with Le Chateau's shoes right now they have such classic styles and they are incredible quality. I just bought a couple pairs of over the knee boots! Love your favorites! P.S. You look amazing! Those boots!! Too cute. I've been wanting to try a barre class. They sound fun yet difficult! You're going to LOVE barre Kimmi! I found that is was difficult but fun - and I totally had no idea how much it was working out my body until the next day - ouch! Really effective workout! It's so true Kris! You have got to come visit soon before it takes us an entire month to get through the Toronto list! Umm so look at that flat belly. GOALS! Also, totally with you on Kitten and The Bear - such a pretty little spot! Thank you! Yes, they are both incredible! That cafe is sooo cute!! Looks like you had a great month! Happy weekend Karen! Yes, definitely give barre a shot, I've been craving going back since that class!